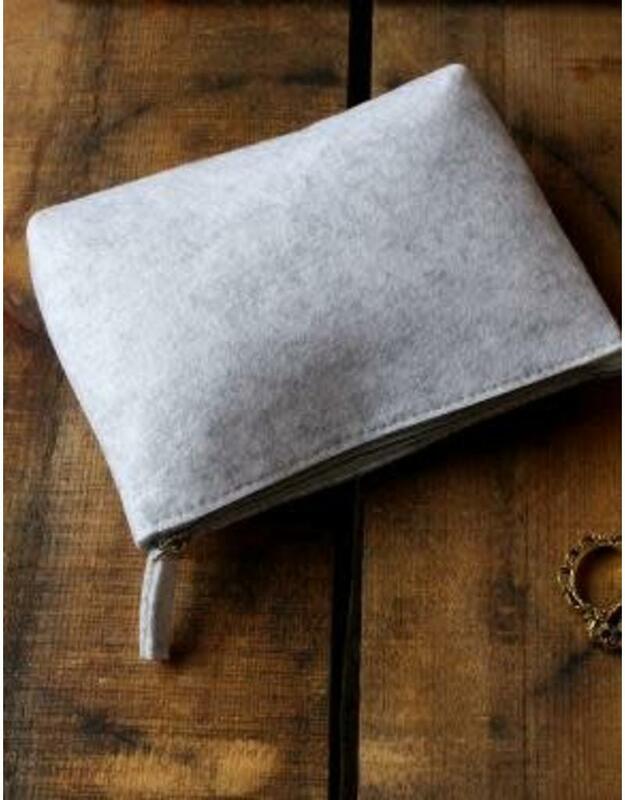 This felted pouch is perfect for storing large notions or a favorite small project. 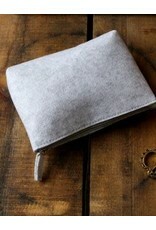 Each zippered pouch measures approx 9" x 6" and is made of thick gray wool blend felt. Top zipper is accented with a matching felt zipper pull.